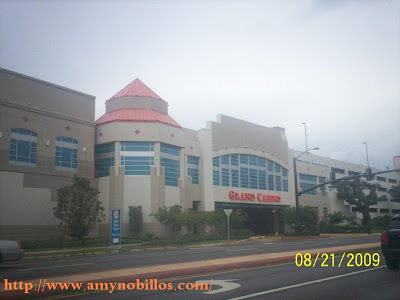 This is Grand Casino in Biloxi, Mississippi , totally damage by hurriccane Katrina (August 29, 2005). According to Wikipedia there are 238 people reported dead and 67 missing in that hurricane in Mississippi. There are 82 counties in Mississippi declared as disaster areas at that time. This is the new Grand Casino in Biloxi. 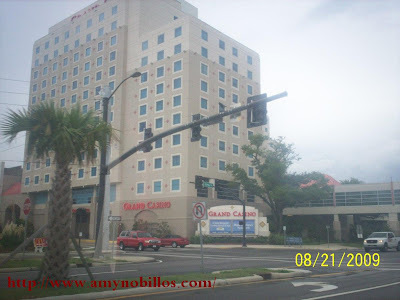 Located at Highway 90 just a block away from St. Michael Church and The Isle Hotel and Casino. The city of Biloxi has not fully recovered but, the city is gaining back slowly to what it's used to be. This is highway 90 but, during Katrina, the road is flooded more than 12 ft high of water surge that come from the Gulf Coast. Hello Ams, ang ganda naman ng mga pinupuntahan mo, sana mapuntahan ko rin yan... have fun in everything you do. By the way, I have created a new blog called Sailing through LIFE, if you have time please have a peek on it. Thanks a lot in advance! I have added you in my list already.